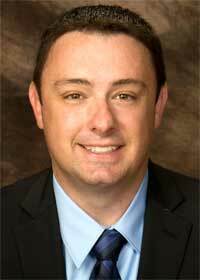 Michael Manderino, assistant professor in the Department of Literacy Education in NIU’s College of Education, has drawn significant praise from his colleagues in 2013, and deservedly so. His dissertation has received awards from three prestigious organizations already this year. The scholarly paper, titled “Disciplinary Literacy in New Literacies Environments: Expanding the Intersections of Literate Practice for Adolescents,” received top awards from the International Reading Association (IRA), Literacy Research Association (LRA), and the Association of Literacy Educators & Researchers (ALER). His research has centered on the intersection of disciplinary literacy and multi-literacies at the secondary level, how students process multiple texts in discipline specific contexts with multimodal texts and the development of secondary literacy coaching programs. Manderino developed his research topic from his interest in assessing how literacy, history and multiple texts correlate. He initially developed the idea in his time as a high school history teacher and has used his theories in using literacy strategies to teach history. After teaching at the high school level, Manderino went on to earn both his master’s degree in education and doctorate from University of Illinois at Chicago, where he focused his attention on adolescent literacy.